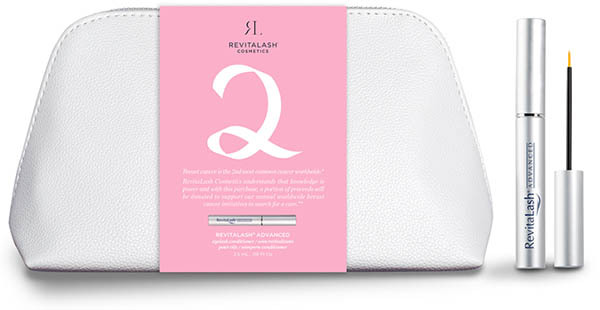 Revitalash® is offering its support to Breast Cancer Awareness month with a LIMITED EDITION collection of award winning and coveted RevitaLash® Advanced (3.5mL) or RevitaBrow® Advanced (3.0 mL) housed in a luxury, white cosmetic bag with the celebrated pink ribbon. A portion of the proceeds from each kit sold will go to Breast Cancer charities worldwide. The offer applies to block bookings of 3, 6 or 12. 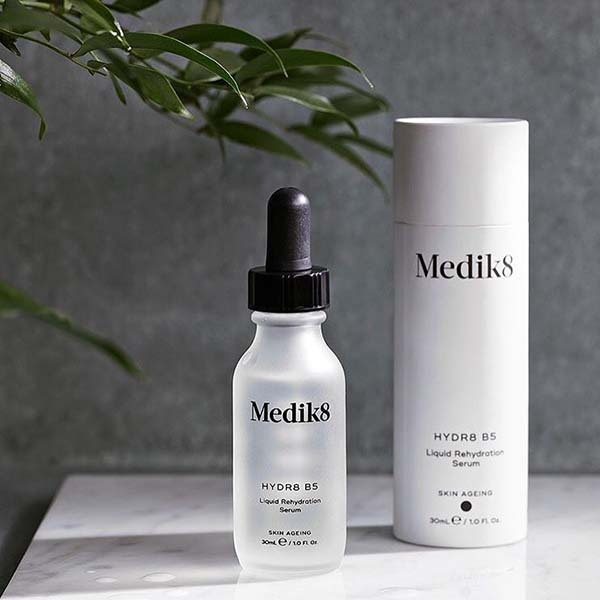 Medik8 Hydr8 B5 is a deeply hydrating crystal-clear serum that floods the skin with moisture. Skin is left soft to the touch, intensively hydrated and healthy looking. A patient favourite here at the Fab Clinic. After cleansing in the morning and evening, massage 6 drops of Hydr8 B5 across the face, neck and décolletage. Leave to absorb before applying moisturiser. 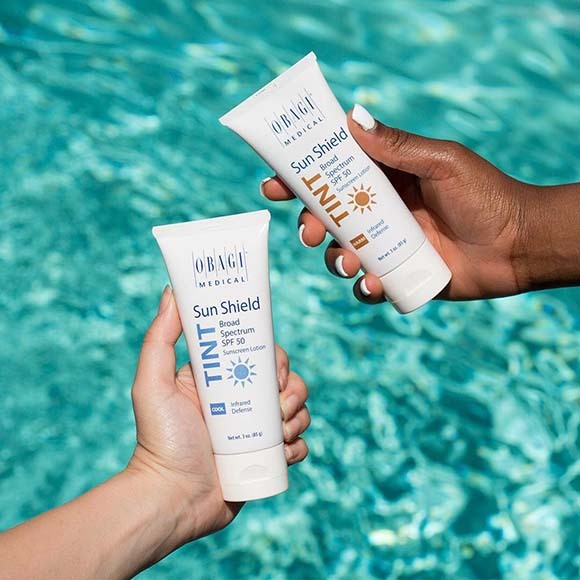 Obagi Sun Shield TINT Broad Spectrum SPF 50 contains a technologically advanced formulation which provides skin protection against both UVB and UVA radiation. It also provides an infrared defense to help buffer the skin from heat-derived oxidative stress. Contains zinc oxide. Available in cool and warm shades for different skin tones. We are pleased to announce the launch of KèraPhine® Body Smoothing Lotion, the first product made exclusively for the body, from the hugely popular Obagi Medical skincare range. KèraPhine body lotion works to restore healthy looking skin by addressing the appearance and texture of rough skin conditions such as keratosis pilaris. To powerfully exfoliate, the product contains 15% Glycolic Acid and 5% Ammonium Lactate, as well as Glycerin to keep the skin hydrated. Women are causing TERRIBLE DAMAGE to themselves in a bid to look like reality TV stars. 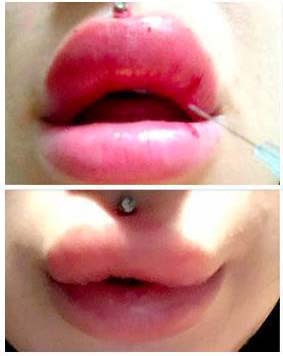 LIP FILLER FRENZY is causing them to look for the cheapest possible treatments – and even sharing NEEDLES with strangers. 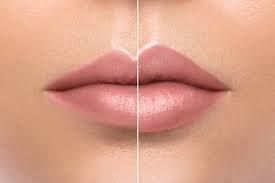 In the long run there’s nothing more expensive than cheap lip fillers! When you see cheap treatments being advertised, corners are being cut and the only person who will pay the price is the patient! Don’t take unnecessary risks! To keep safe use a Save Face accredited aesthetic clinic like ourselves. We have achieved the Save Face Status of Excellence. Botulinum toxin (Botox) is the number one rejuvenating facial treatment chosen by patients and doctors worldwide. A host of new indications and techniques have been developed using this product, which is deemed as safe after undergoing hundreds of clinical trials over the last 25 years. Today, we use Botulinum toxin at the FAB Clinic to perform ‘full face and neck’ treatments, on its own or before filler injections. 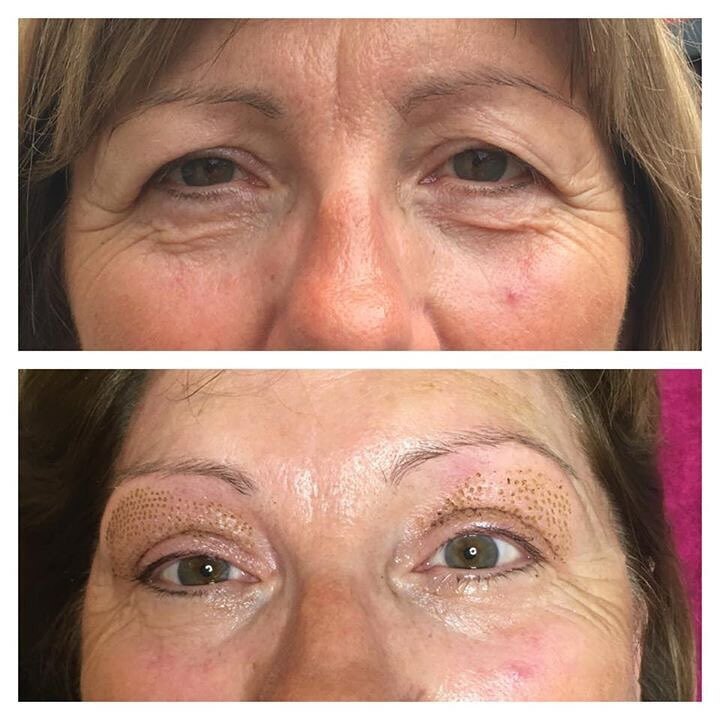 Botox is a fantastic clinical solution when injected by a doctor who masters injection techniques and knows how to distribute the product precisely, and its use is even more interesting with better knowledge of the muscle patterns and neuromuscular junctions (where the nerve goes into the muscle). We know where to inject deeply and where to treat superficially, according to the muscle attachments, which allows for great precision and allows us to control the product’s distribution. The results achieved on a mobile face are more natural, because they respect the facial dynamics. In-depth knowledge of these facial dynamics combined with the precision of Botox allows us to use it specifically on the middle and lower parts of the face, as well as the neck. These developments are possible thanks to our better understanding of the three-dimensional distribution of the facial muscles. This is where the ‘3D’ treatment approach comes in. Physiochemically-speaking, Botox does not contain any protein complexes and therefore, in theory, no elements that might provoke an autoimmune reaction or cause the body to produce antibodies. As for Botox, based on clinical and scientific studies, this toxin was the first to obtain approval from the healthcare regulatory board for three indications: forehead, glabella and crow’s feet. Botox and hyaluronic acid are very useful tools that can visibly and naturally correct facial flaws or negative expressions, such as a tired, anxious, sad or angry expression. As we age, muscle changes produce expressions that project emotional messages which do not match the patient’s personality or state of mind. The treatment always starts with the upper part of the face. Forehead lines respond perfectly to injections into the muscle that lifts the eyebrow, as do glabellar lines, which make a person look angry or strict, especially men. The advantage of Botox is that the range of its distribution is so precise that there is no “frozen look”. For crow’s feet, three injection points smooth the periorbital lines and, if necessary, can lift the tail of the eyebrow. In the middle of the face, sometimes the small muscle at the tip of the nose is overactive when in movement or when the person smiles, making it point downwards and thus accentuating any bumps on their profile. A small dose of toxin blocks the muscle and enables us to rotate the tip upwards, which softens the appearance of any bumps and the dilation of the nostrils. As for a gummy smile, the muscles that pull the lip upwards are relaxed so that they cover up the gums when the person smiles. This injection also acts upon on the nasolabial folds. Marionette lines are one of the most negative aspects of facial expression, caused by a hyperactive muscle that pulls the corner of the mouth downwards. By relaxing this muscle, we can reposition the edges of the mouth. For “barcode” lines on the upper lip, microinjections combined with other techniques can smooth this area. In the lower third of the face, powerful chewing muscles are responsible for a square jaw. Relaxing these muscles over several sessions can reduce their thickness and make the face look more feminine and triangular. Hyperactivity in these muscles is often associated with teeth grinding and, in this case, Botox plays both an aesthetic and a functional role. In the chin, the two small muscles often contract to create an “orange peel” effect, which is easily treated. Over time, the cutaneous muscle of the neck, which is thin and very spread out, becomes damaged and the platysma muscle fibers become visible through it. These tight fibers, which can be difficult to treat surgically, can be relaxed with injections all the way along the muscle, giving way to a smooth and youthful neck. Book a Trial ProMax Treatment for Only £30! THEN SAVE HUNDREDS OF POUNDS WHEN YOU BOOK A COURSE OF 10! Pro Max Lipo for face or body is a combined radio frequency, ultrasonic cavitation and vacuum massage device for facial skin tightening and body contouring with no down time. 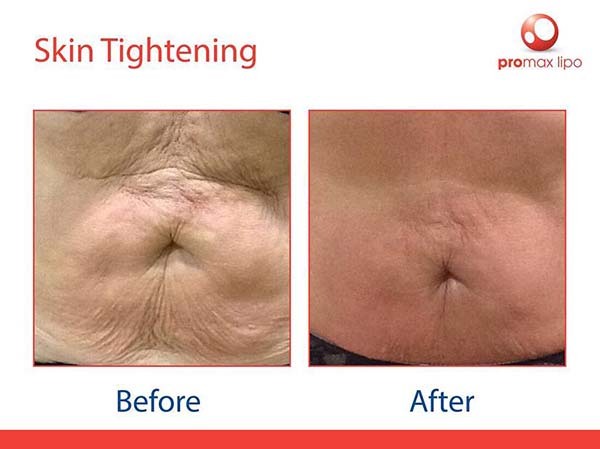 Inch loss, cellulite reduction, skin tightening. Stubborn areas of fat such as upper arms, abdomen, bra line, love handles, thighs. 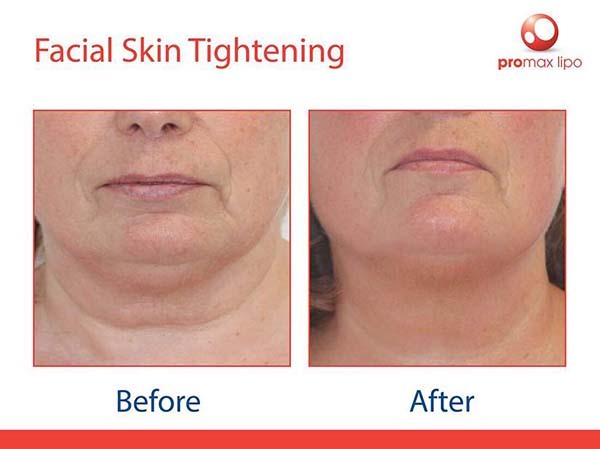 Skin tightening is great for jowls, neck and eyes. 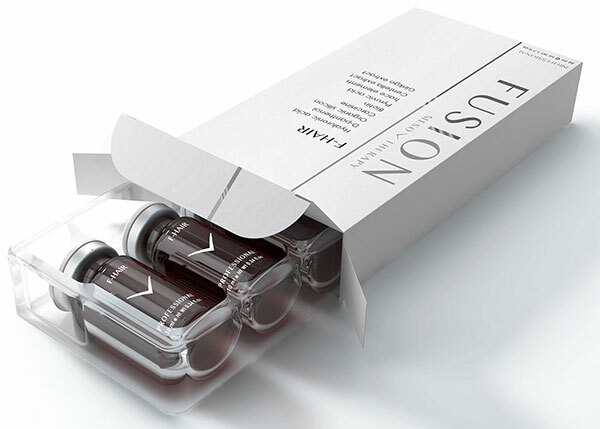 Fat reduction, tighter skin, cellulite reduction, fresher, brighter skin. A course of treatments is recommended for optimum results.